Welcome and introduction to the team. Basic education in sledding and safety instructions. How to put the dog in harness and in sledge. 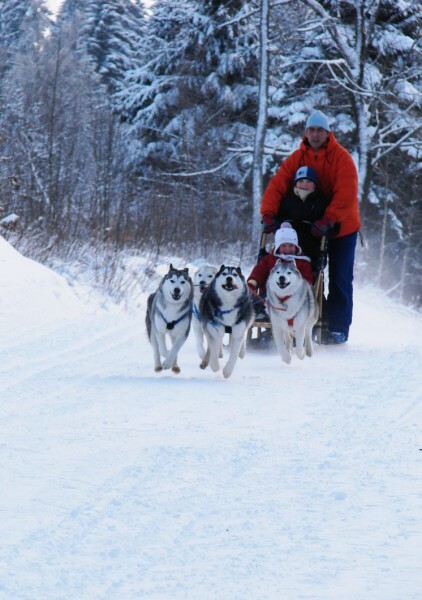 Ride in 4-6 dog sledge in authentic wooden sledge. 3 km track is on the field, 5 km track goes through a forest. We can host 12 person maximum per one event. There are 2 teams going on the track at the same time.